Cindy Hull has over 20 years experience of friction ridge analysis and crime scene processing. 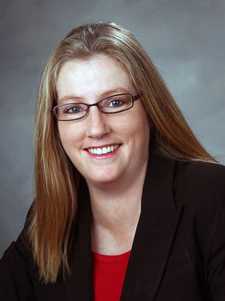 She has been recognized by the International Association for Identification (IAI) as a Certified Latent Print Examiner. Cindy has served as the Latent Print Supervisor with the Contra Costa County Sheriff’s Office for over ten years. Prior to that, she worked for the Division of Criminal Investigations for the State of Iowa as a Fingerprint Technician, a per-trial investigator with the Coralville Detention Facility, and an Evidence Technician with the San Diego Police Department. Cindy has taught numerous workshops in the field of evidence processing, collection, and preservation, latent print processing techniques, and crime scene processing to law enforcement agencies and practitioners. She has also provided lectures on the importance of documentation, report writing design, and latent print processing techniques at the Northern California Forensic Study Group as well as the national and regional IAI conferences. Cindy serves as the 2014-2015 President of the California State Division of the IAI. She is also the Coordinator of the Northern California Forensic Study Group, an active member of the IAI, and an affiliate member of the California Association of Criminalists.